Our new ‘How to answer’ series proved popular last month, when we looked at how to respond to the interview question, “Tell me about yourself”. This month’s question – “Why should we hire you?” – is just as important, and can be just as tricky to answer. You’ll need to prepare a compelling summary of why they should hire you, while remaining flexible enough to think and respond on the spot. What would you bring to the position? 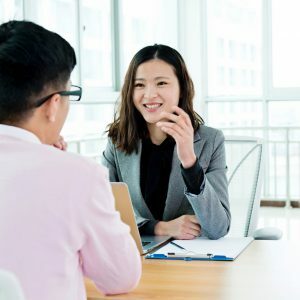 Even if you don’t get asked this question specifically, you should try to communicate the key reasons they should hire you throughout the interview. If you are asked this question, you’ll have a great opportunity to present a concise sales pitch describing what you offer. You’re usually being hired to solve a problem or address a requirement. The better you demonstrate how you’re going to do that, the more chance you’ll have of getting the job. Follow our step-by-step process to prepare. Create a pitch. Identify the skills, qualifications and experience you need to succeed in the role, and relate them back to yourself. Do this by reviewing the job description and highlighting key requirements, including qualifications, specialist technical skills, experience, soft skills and personality traits. Then match them with the qualities you possess. Select three of your strongest areas and make these the core of your answer. When you’re developing your pitch, focus on the positives and keep linking your response back to the company and the position. Research the organisation. Once you’ve identified the personal and professional capabilities you need to highlight, do some research on the company. Pay particular attention to social media accounts since this is where you’ll get a better understanding of company culture. This is important because employees who are a good cultural fit are more likely to feel satisfied in their jobs. This generally leads to higher retention rates, and since recruitment is a costly and time-consuming exercise, organisations tend to hire based on shared values and cultural beliefs. Think beyond the obvious. You know you’re up against candidates who are likely to be just as qualified and experienced as you, so work out what you offer that others don’t. 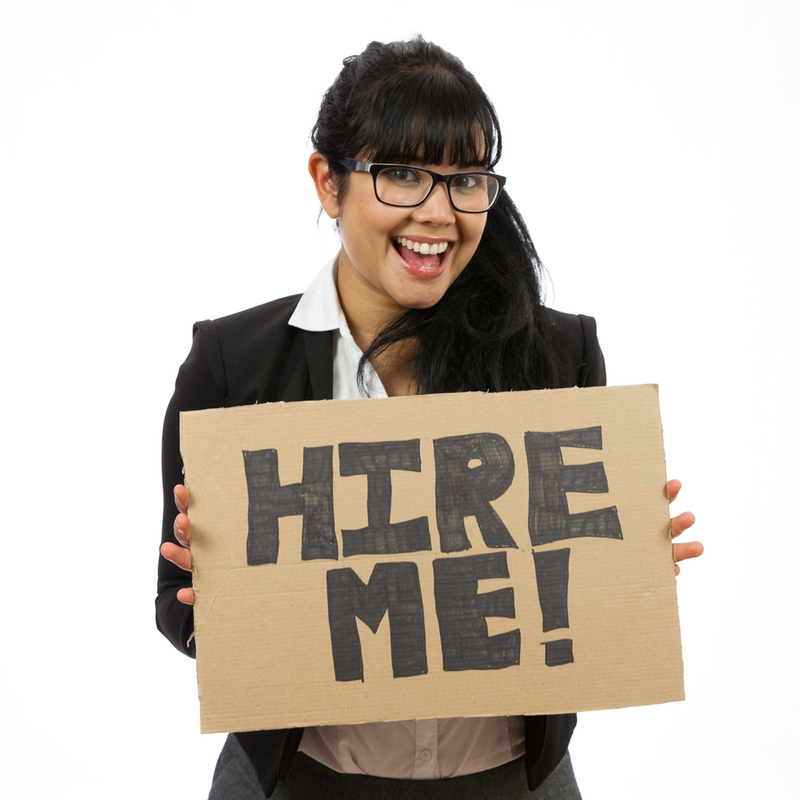 By thinking outside the job description, you can demonstrate how you’re a better candidate. Highlighting unique traits or experiences will set you apart. This is key in a competitive job market. Solve a problem. If you’ve researched the company well, you may identify a specific need or problem that’s driven this round of recruitment. Try to demonstrate previous success in a similar situation, or simply articulate an approach or an idea about how you’d begin to solve the problem. “Why should we hire you?” is an important question to answer well, but try not to overthink it. While it’s a good idea to practise your pitch so you can deliver it smoothly, you don’t need to memorise it word for word or it will sound forced. Have a general idea of what you’d like to say, but remain open to addressing additional issues or information that arises during the interview. Talk for no longer than two minutes and aim to cover three main points. The transformational impact of technology on people, processes and businesses is never ending. 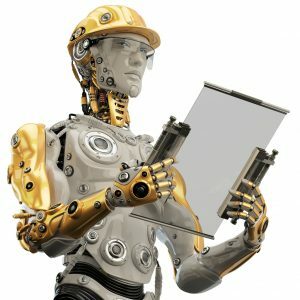 We have never been more connected globally and new technologies are emerging every day, so the skills you’ll need for the jobs of the future aren’t necessarily those that you use today. What skills will you need? The jobs of today are very different to those of our parents and grandparents, so where will we be 20 years from now? And how can we make sure we’re still employable? As new jobs emerge, others become obsolete. It can be a challenge to stay ahead, but ensuring your knowledge and skills remain current and marketable is an important career move. Here are some of the key job skills we think you’ll need for the future. Tech know-how: Proficiency with technology is now expected in most jobs. Think about how a GP uses technology today compared to 10 or 20 years ago. The use of mobile technology has also dramatically increased, and the globalisation of many markets means that working with technology rather than against it is key. The more flexible you are in navigating these changes, and in becoming proficient in using new technology, the easier your work life will be. Critical thinking and problem solving: The future will have problems we’ve never experienced. The ability to think outside the box, see the big picture, analyse different situations, rearrange information to identify explanations and make decisions on the fly will put you in a great position. Creativity: We know that workers with creative-thinking and imagination skills will remain in demand. 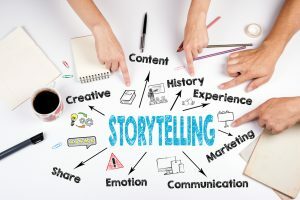 Examples include jobs where you need to create original content, manage others and/or interact with stakeholders, think unconventionally, or apply expertise to make decisions or innovate. Creativity isn’t limited to traditional artistic pursuits such as art, music and writing. In this context, it’s about innovation and resourcefulness – the ability to pull together disparate information and conceive viable solutions and approaches. Adaptability: The ability to quickly change, develop new skills, take on new responsibilities and work with automation or machines is important. Having flexibility to move to other areas will drive future career success, and acquiring the necessary skills or retraining in other areas will be your responsibility. Information analysis: In our current information age, we generate more data than we know what to do with. While access to the information we collect has significantly improved in recent times, the ability to analyse it through a critical lens to come up with meaningful observations that drive decisions is key. People skills and collaboration: While technology will eventually take over many areas, human interaction will never disappear, so the ability to work with people will remain important. Success will require you to ask questions, listen, interpret needs and work cooperatively with others. 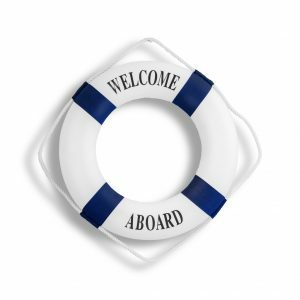 Learning how to use new communication and collaboration platforms will also be vital. SMAC: You’ve probably heard of STEM (science, technology, engineering and mathematics), but SMAC (social, mobile, analytics and cloud) is fairly new. Learning how to leverage these platforms in your daily work will help you stand out in the future job market. 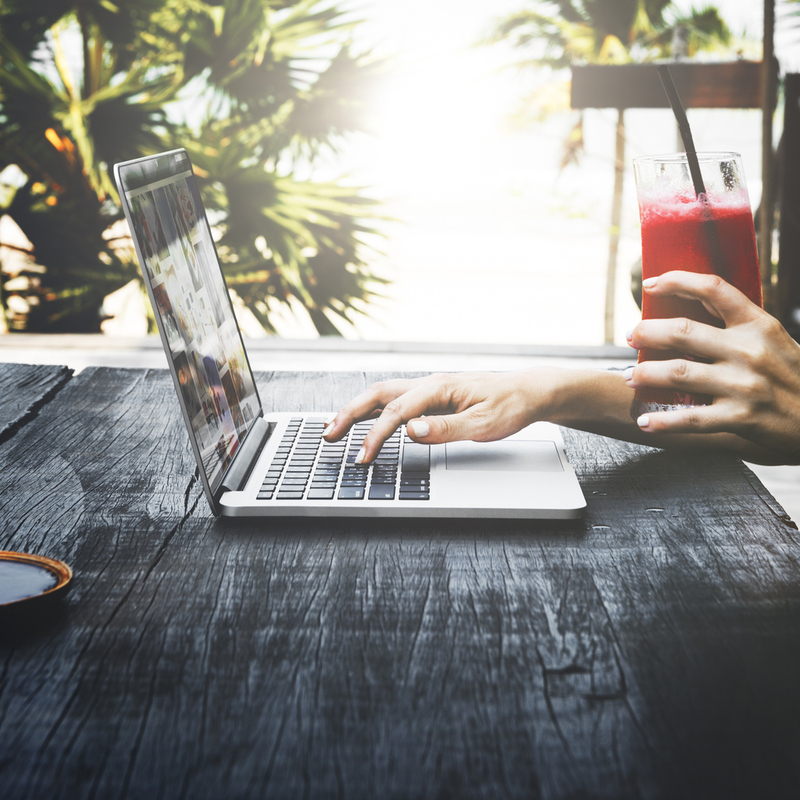 Cultural acumen: The modern workplace is full of remote employees, global offices and flexible contracts. For many of us, our workday reality is living in one country and working virtually with people in other parts of the world. Being able to understand and appreciate cultural differences and social interaction will be essential. Networking: Most experts agree that networking and word of mouth will be more important in securing jobs in the future. While networking is not new, technological advances mean the way we do it is vastly different to 10 years ago. Keep track of everyone you meet, stay in touch, join professional networking groups and take advantage of LinkedIn. Are you always listening, learning and planning? Continuous learning of new skills is essential for job success in the future. Take on new responsibilities, remain flexible, embrace our rapidly changing world and use any setbacks as learning experiences. That way, you’ll find yourself in the best position to capitalise on opportunities as they arise. Would you like assistance from a Career Coach to identify areas where you might be able to improve your skillset to create your dream career? Or perhaps you’d like some help developing a tailored Job Search Strategy to secure your future? To find out more, read about our Services. This is the first article in our brand new series ‘How to answer’, which explores the best ways to answer specific interview questions. This month we look at the recruiter’s all-time favourite, “Tell me about yourself”. This seemingly simple question can stump candidates who aren’t sure which details to share about their personal and professional background, and how much information to provide. Our best advice for answering this question is to be prepared for it and keep your response simple and relevant. This question is often asked early on and can set the tone for the entire interview. Read on for our key tips for success. If you aren’t prepared, you run the risk of rambling on without actually saying much, and skipping important details, which could jeopardise your chances. So take some time to think through your response before the interview. Instead of just summarising your resume, go through the job description in detail and identify the skills, experience and qualifications needed to succeed in the role. Think about how your expertise relates to this job and then pinpoint ways to demonstrate capacity in those areas. Keep your response concise by preparing a summary that you can recite in around two minutes. If you include enough topics of interest, the recruiter can ask you to expand on certain areas if they wish. Instead of listing multiple, vague strengths, use examples to demonstrate your relevant capabilities. Short, sharp stories about what you did, how you did it and what the outcome was work well. These examples should ideally come from recent work experience, but you can also include volunteer experience or student projects or activities if necessary. 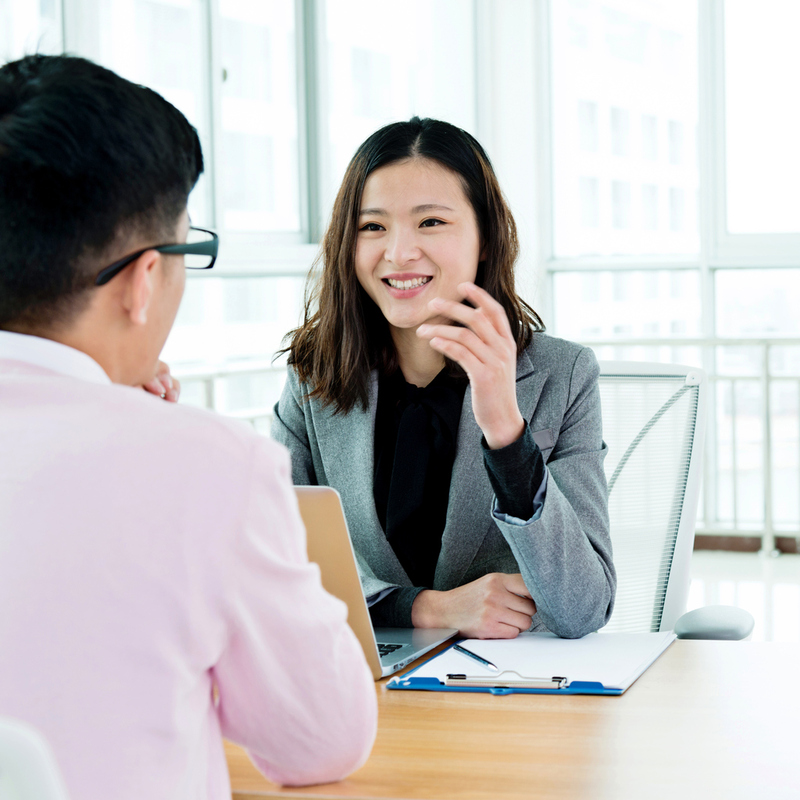 A recruiter or employer probably isn’t interested in your life story, but they are interested in hearing how your professional experience and background makes you an ideal candidate for the role. Avoid mentioning personal information such as marital status, children, and political and religious beliefs. These details aren’t necessary for an employer to determine whether you can perform a role, and they can be sensitive topics that may impact an employer’s personal opinion of you. You can talk a little about personal interests, but only if it has some relevance to the role or the personal skills required to succeed. Don’t rush into talking about what you are seeking in a role or how the company might benefit you. Save that for if you’re asked, or mention it in the final stages of the interview. An ideal way to construct your response to the question “Tell me about yourself” is to focus on present, past and future. This will help you organise your thoughts. “Tell me about yourself” can be a surprisingly tricky question to answer well. Remember to focus on the experiences and skills that are most relevant to the role and company you’re interviewing for. Ask yourself what you’d most like the recruiter to remember about you and focus on that. 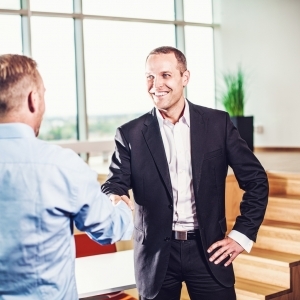 A well-thought-out answer will create a good first impression and set you up for a positive interview experience. Podcasts can provide great inspiration across a range of areas. These convenient, bite-sized chunks of content are also a good way to up-skill or improve your knowledge about various topics, since they’re usually delivered by people with a passion for, and deep understanding of, what they’re talking about. Whether you’re looking for your first career, searching for major change, struggling with your current role, interested in starting a business or just need inspiration and motivation, there is something for everyone! Here’s a few of our favourites. Career Tools: A weekly podcast focused on specific actions you can take to grow and enhance your career – no matter what industry or position you’re in. With topics ranging from communication to meeting performance, productivity, workload, asking for feedback, relationships, changing jobs and everything in between, there is sure to be something of interest. How did you get into that? : Host Grant Baldwin interviews people from all walks of life who are doing interesting or amazing things to make a living. Each episode includes a story about someone who wanted something more from life and made it happen. You’ll find interviews with entrepreneurs, artists, musicians, speakers, writers, filmmakers, photographers, athletes, venture capitalists, Etsy sellers, comedians, nutritionists and more, across all different industries. Beyond the To Do list: Struggling to juggle life and work? This award-nominated podcast features actionable tips from highly successful people that can help you choose the right projects, tasks and goals in work and life. Host Erik Fisher talks with real people who implement productivity strategies in their professional and personal lives. Miss Independent: Focused on a female audience, Natalie Hughes founded Miss Independent in 2017 and launched a podcast that features conversations with women in leadership and business. Natalie talks with a broad range of interesting, diverse and inspiring women in leadership and business. She discusses their successes and setbacks, as well as secrets and tips to inspire you to make your own career decision with confidence. Flying Solo: This is a podcast for anyone starting or growing a small business. Host Robert Gerrish talks with inspiring soloists and expert guests on all things solo, micro and small business. The Signal: Sometimes the news can feel overwhelming. This ABC Radio podcast helps to sort the news from the noise. It’s a quick (10-15 minute) dive into current news stories that matter, delivered every morning. Business Women Australia Podcast: Another one focused on a female audience, this podcast is for ambitious women who are serious about business success and leadership development. It provides tips and ideas for those interested in building their knowledge and skills. Happen to your career: Created for people who aren’t happy in their job, or need some guidance to find work they really love, this podcast helps people to match their strengths to work they will find interesting and meaningful. Productivityist: Hosted by productivity expert Mike Vardy, this weekly podcast gives listeners tips, tricks, tactics and tools to improve productivity and time management in order to get things done. The Good Work Revolution: This podcast looks at how you can feel fulfilled and make a positive impact through your work. Each episode includes reflections from different guests, or the host, Kate McCready, on how we can create ‘good work’. It explores people’s relationships with their work – how it influences fulfilment, wellbeing, engagement and a sense of contribution and connection. It’s also about lifting people up and helping them elevate their personal ability to have an impact – whether small and local or big and world changing. The Tim Ferris Show: Author and entrepreneur, Tim Ferris – best known for The 4-Hour Workweek (which has been translated into 40+ languages), hosts this podcast. In it, he interviews highly successful people and discovers the keys to their success. Guests provide some great tips and tricks that anyone can use to accelerate their work style. The Jack Delosa Podcast: Founder of Australia’s largest and most disruptive education institution for entrepreneurs, The Entourage, Jack Delosa also co-founded MBE Education, which helped SMEs raise money from investors. He’s been on the BRW Young Rich List since 2014 and is a two-time bestselling author. In The Jack Delosa Podcast, Jack answers questions about business, start-ups, entrepreneurship and the importance of mindset, and shares exclusive interviews with industry leaders and innovators. Inspire Nation: A top self-help and spirituality show across 185 countries, this podcast features an inspiring new guest every day. Host Michael Sandler felt a calling to start his life-changing show after surviving two near-death accidents. The broad-ranging topics include how to find more energy, strength, happiness, peace, purpose, confidence, and heart to live your greatest life. Behind the Media: The Australian’s media diarist Stephen Brook hosts this weekly podcast where he interviews journalists, writers, editors, presenters and other media careerists. This podcast is sometimes casual, sometimes serious but presents a diverse range of guests discussing the state of the media industry and their own careers. Thought Capital: This is a relatively new podcast created by Monash Business School. Host Michael Pascoe delves into topics you probably won’t read about in the business pages. What’s the link between Big Data and election rigging? How can you identify the true ‘key players’ in an economic meltdown? Is there a ‘tax paradise’ and can you live there? The Leadership Dojo: Hosted by Alex Barker, this podcast features interviews with some of the greatest and most inspirational leaders, from business CEOs to famous Olympic athletes to best-selling authors. Alex aims to help listeners learn success principles from leaders and how to apply them to daily life. 48 days to the work you love: This is a 48-minute weekly podcast hosted by US-based career expert and author Dan Miller, which helps listeners discover their true calling, find work they love, and explore business ideas and opportunities. Dan helps people overcome procrastination with a mission to foster the process of imagining, dreaming and introspection, so they can find purposeful and profitable daily work. Podcasts are a great distraction during long commutes and there are plenty to choose from across every area of interest. Simply search on a topic and select from a list of top-ranked podcasts. For Australian-specific podcasts, check out the Australian Podcast Awards, an event that brings together podcasters to celebrate the medium’s ability to entertain, inspire and engage audiences worldwide. The site includes a list of annual winners and nominees across different categories to give you some listening inspiration. Are you happy at work? Career counselling can be an invaluable tool for helping you explore your options and decide on a new career path or course. To find out how we can help, read about our career coaching services. 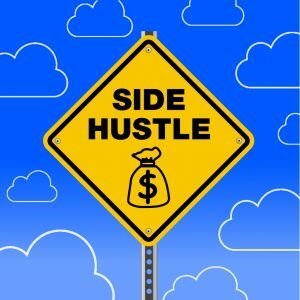 For the majority of people wanting to start a business, the reality of working a 9 to 5 job while side-hustling is real. If you’re in this position, don’t despair – in fact many experts believe that starting a new business while you’re still employed elsewhere gives you more chance of success. But how do you get that business to the point where it’s your career? 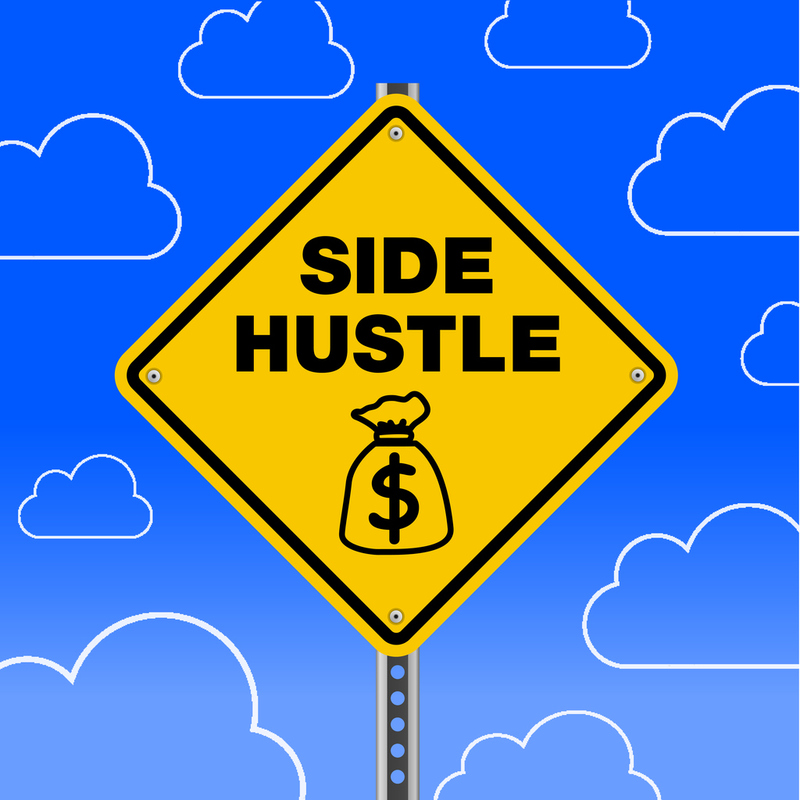 Trait # 1 – Organisation: To turn a side-hustle into a full-time business while you’re still working will require strong organisation skills. In Lorraine Murphy’s book ‘Get Remarkably Organised’ she talks about the cornerstone of success at work and home as being organised – but this doesn’t have to be boring or difficult. Being organised can be as simple as developing some new habits that help prevent or address future problems. Lorraine talks a lot about being kind to your ‘future self’ and this really comes down to being organised enough that you’re thinking about ‘future you’ to predict and address these potential problems before they’ve even occurred. Some simple habits of organised people include: writing things down, diarising and scheduling tasks, making deadlines and sticking to them, not procrastinating, giving items a home and making sure you put them away, cleaning up regularly, living in an uncluttered way (that includes decluttering regularly and getting rid of the unnecessary), not accumulating more ‘stuff’, delegating some tasks, and making time for yourself (and sticking to it). Trait # 2 – Time Management: There is a popular adage often attributed to Benjamin Franklin, the father of time management, “Failing to plan is planning to fail”. Now is definitely the time to work smarter not harder! Knowing how you spend your time is key to success since there are only 24 hours in the day. When you’re working a full-time job, eight of these are probably already taken. Add in commute time, eating, sleeping and all the other necessary tasks related to living and there aren’t many hours left to work on your business. We have talked before about managing time – with our previous article 10 Time Management Tips to Improve Your Productivity providing some more detail. Our general tips include planning your day, focusing on one thing at a time, establishing routines, setting deadlines, switching off technology, and saying no! If all else fails track how long you spend on certain tasks for a few days then eliminate, delegate, and consolidate where you can. Trait # 3 – Process Focused: Having a structured plan and goal(s) is key to success. You need to know what your business looks like before you can do this – so take some time to define how your business needs to look in order for you to make it your full-time work. Then think about everything you need to do to get there. There are some great resources online to help with this. Many business planning articles online include lengthy business planning templates which isn’t necessarily the best option. Having a business plan that is clear, simple, and useful in helping you move forward is what you need. I love the website ‘Flying Solo’ for small business tips. There’s a whole section on business planning with a couple of articles that really caught my attention being ’Do I really need a business plan’ and the ’9 step business plan’ (see step 6 for a particularly relevant look at structure). Trait # 4 – Decisiveness: ‘Just do it’ is a great concept and one that I love when it comes to business. A common trait amongst many successful business owners and entrepreneurs is that they take action with a sense of urgency and importance. When you are in the early business start-up phase, there isn’t really any room for procrastination. Whilst you don’t want to be impulsive or reckless, you do need to know how to prioritise, make decisions quickly, and take action immediately. Trait # 5 – Ability to Change: An open-minded approach to constantly change, adapt and learn is essential in business. Never assume that you know everything and approach situations with a willingness to learn from the experience. The world is changing rapidly and to succeed in business today, you need to know so much more than you did 10 or even five years ago. The pace of technological change alone means the way we do things today is often replaced with something new and better tomorrow. In addition, new businesses are relatively easy to start up so competitors can pop up overnight. Understand and learn about new ideas around potential businesses, people skills, efficiency, and workflows – and most importantly be flexible to change and adapt whenever it makes sense. The road to achieving a successful business can be difficult to begin with but like most other big things in life, it can be enormously rewarding. If you work hard and take some well thought out risks, you may be pleasantly surprised to see where your ‘side hustle’ takes you. Are you thinking about starting your own business? Would you like advice from one of our career consultants? If so, please read more about our career consulting services. If you’re unhappy in your job, like truly, truly unhappy bordering on depressed, then sometimes the best (or only) option is to quit, but often that’s just not an option. ’Work-life balance’ is an often used term with a large proportion of our clients citing it as the reason they are searching for a new role. But what exactly is it and can it be realistically achieved? TIP # 1 – Decide what’s important. Working less doesn’t mean better work-life balance for everyone. If you are happy with the amount of time you dedicate to each part of your life, you’ve probably achieved your best version of work-life balance. Decide on your priorities and communicate those to superiors, colleagues and family members. Think about what you’d like to do more (or less) of. Work out what you need to focus on and try to eliminate anything that doesn’t contribute to that. TIP # 2 – Establish working hours. Set boundaries for yourself and others. If you work from home, try to walk away from your office space at a set time every day. If you work outside of the home – try not to take work home unnecessarily. Of course, unplanned events will inevitably occur but trying to finish at the same time each day is a great idea. Likewise, make sure friends and family know not to interrupt you at work unless it’s an emergency. For most people, it would take a huge personal emergency to reschedule something important for work. Give your personal time the same respect and try not to ‘reschedule’ it for a work emergency unless it’s absolutely necessary. TIP # 3 – Switch off technology. Don’t stay connected to work 24/7. If you’re spending time with your family or partner this is especially important. We need time to focus on personal relationships. Turning off technology for even just short periods of time allows us to give people our undivided attention which goes a long way towards improving work-life balance. TIP # 4 – Track your time. Not all the time, but try it for a few days (try the Pomodoro technique). Tracking how much time you spend doing certain tasks will help you work out where you can save time. Rethink your approach if you believe that hours worked equates to productivity – just because you work 60-hour weeks doesn’t mean you are productive. Eliminate or delegate some tasks and you will be amazed at how much extra time you gain. TIP # 5 – Try to schedule ‘time off’. This includes holidays and weekends. At a minimum you should try to schedule two weeks off annually and try not to work consistently on weekends. This doesn’t mean you need to book an expensive holiday. Some of the best holidays I’ve had have been ‘staycations’. Stay at home and enjoy what your local area has to offer. Or try a couple of ‘long weekends’ away throughout the year. We often get so caught up in day-to-day work that we miss all the fun stuff right under our noses. Time off helps you feel refreshed and recharged and will contribute to you achieving your best levels of productivity. TIP # 6 – Schedule something enjoyable every day. For me that’s exercise most days. If that’s not for you, schedule something else you enjoy doing. It could be a quick walk with the dog or coffee catch up with a friend or colleague, some gardening, cooking, pottering in your workshop, meditation, or reading a book. It could simply be some quiet time to yourself doing nothing – it certainly doesn’t need to be expensive or time-consuming. TIP # 7 – Look after yourself. Eating well, getting enough sleep, keeping hydrated and making sure you get enough exercise are all factors that will have a positive impact on your ability to achieve work-life balance. Getting good nutrition and exercise will help you feel happier and achieve higher levels of productivity in the long term. TIP # 8 – Don’t sit still. Aim to get up from your desk at least every two hours. Try to do it before your concentration wanes and your attention flags. Get up, have a stretch, grab a glass of water, take a quick walk around the block for some fresh air – just do something that gives you a break from working and clears your head for the next task. TIP # 9 – Create processes and systems. Things that you do repetitively – both at work and at home can be simplified through process. Think about all the tasks you do on a daily basis – do you approach them in an ‘automatic’ way? Think about these repetitive tasks and then work out how you can automate or speed them up (or even just outsource them). TIP # 10 – Say no! Over-committing is a common issue but completely avoidable. You don’t need to be ‘available’ for work all the time and you don’t have to say YES to every social invitation. Use a calendar to manage commitments (work and social) including scheduling time to work on projects. I like to plan my week on a Sunday evening, making sure I have time to fit in the work I’ve committed to and factoring in some time for me and my family as well as dealing with the day-to-day mundane activities that need attending to. Planning your week but allowing for some free time in your calendar will set you up for success – and enable you to effectively deal with any emergencies. Learning to say NO more often can help you feel more in control. 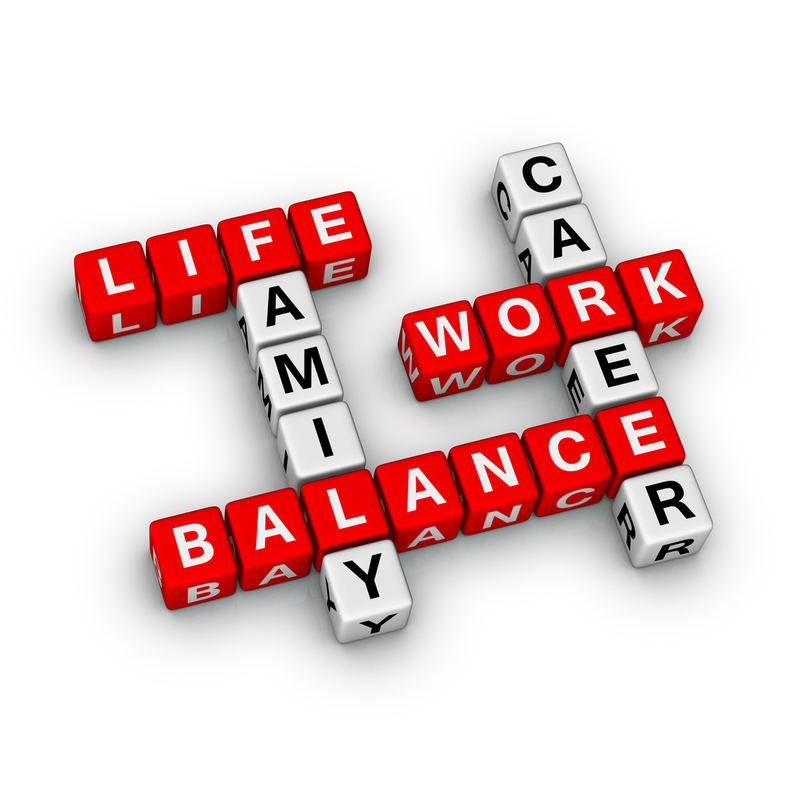 In today’s ‘always on’ culture, it can be difficult to achieve the perfect work-life balance. Since the ideal mix is different for everyone, working out what you need personally and understanding that you have some control is an important first step. But achieving and maintaining it is not a one off process – it’s a lifelong pursuit. Aspire to what you need right now then work to achieve it, but be sure to review it from time to time to make any necessary changes. Are you struggling to achieve the balance you desire in your life right now? Would you like help working out if your career goals and aspirations are in alignment with your work-life balance goals? If so see, please see our Career Counselling Services.